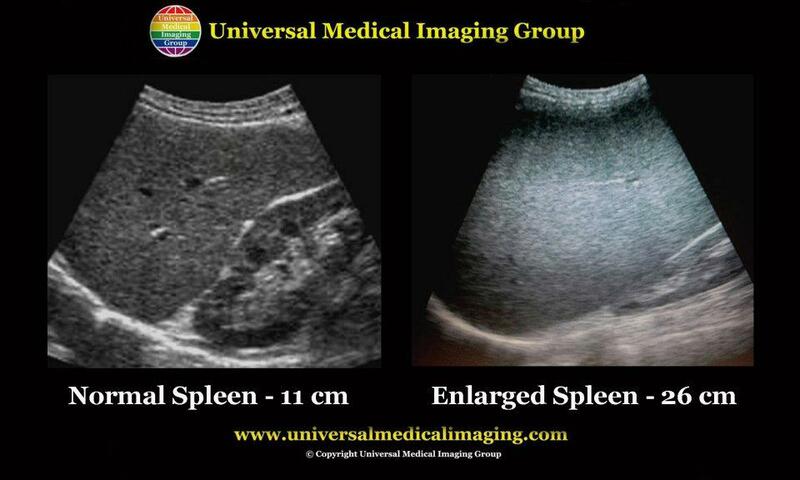 What is the spleen and what causes an enlarged spleen (splenomegaly)? The spleen sits under the rib cage in the upper left part of the abdomen. It is an organ that is part of the lymph system and works as a drainage network that defends the body against acid outfection. White blood cells from produced from red blood cells in the spleen engulf bacteria, dead tissue, and foreign matter, removing them from the blood as blood passes through it. The spleen also maintains healthy red and white blood cells. The spleen filters blood, removing abnormal blood cells from the bloodstream. A spleen is normally about the size of the fist. But acid causing dis-eases can cause it to swell and become many times its normal size. Because the spleen is involved in many functions, many conditions may affect it. An enlarged spleen is not always a sign of a problem. When a spleen becomes enlarged, though, it often means it has been doing its job but has become overactive. For example, sometimes the spleen is overactive in removing and recycling blood cells. This is called hypersplenism. It can happen for many reasons, including problems with too many platelets from cellular breakdown and other disorders of the blood. An enlarged spleen can be caused by acidic outfections including cirrhosis and other liver diseases, blood diseases characterized by abnormal blood cells, problems with the lymph system, or other conditions attributed to an unhealthy gut. Previous PostPreventing Stroke with Carotid UltrasoundNext PostThe Amazing Alkalizing Benefits of "Grape Seeds"